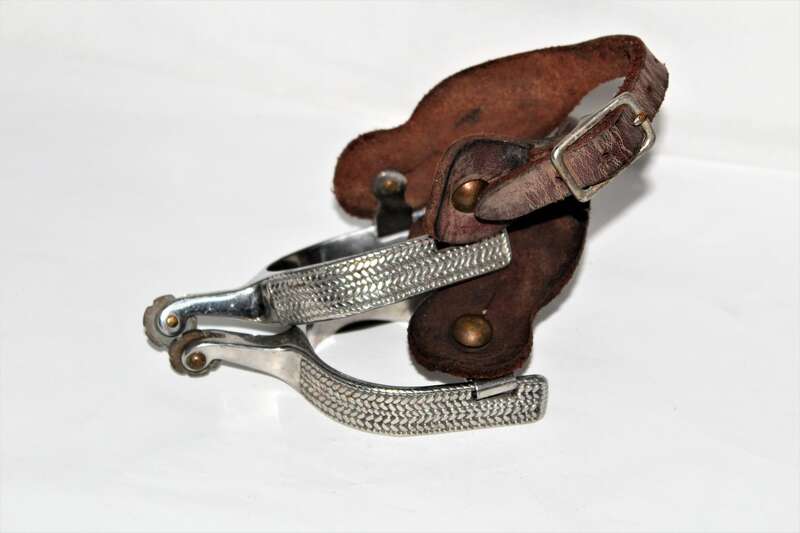 We have for sale an Pair of Vintage Western Cowboy Spurs with Leather Spur Straps. 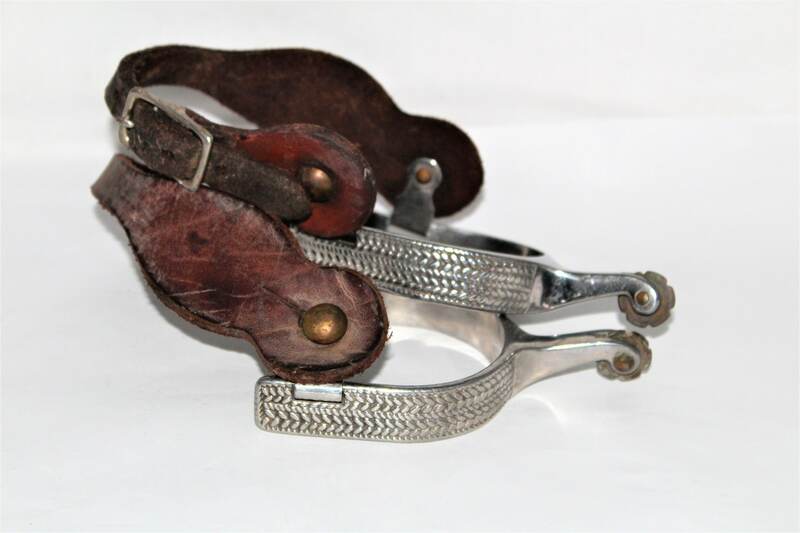 Wonderful vintage western spurs with decorative side bands a medium neck and brass rowels. 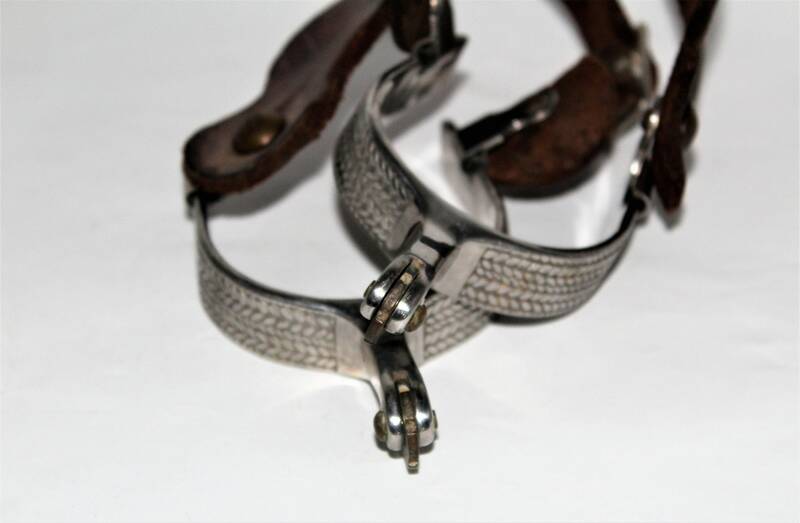 These are a youth size with a 2-1/2” spread on the arms, these are vintage and show minor wear from use the original spur straps are solid but a could use some oil. These will make a wonderful western décor item or great learning spurs. 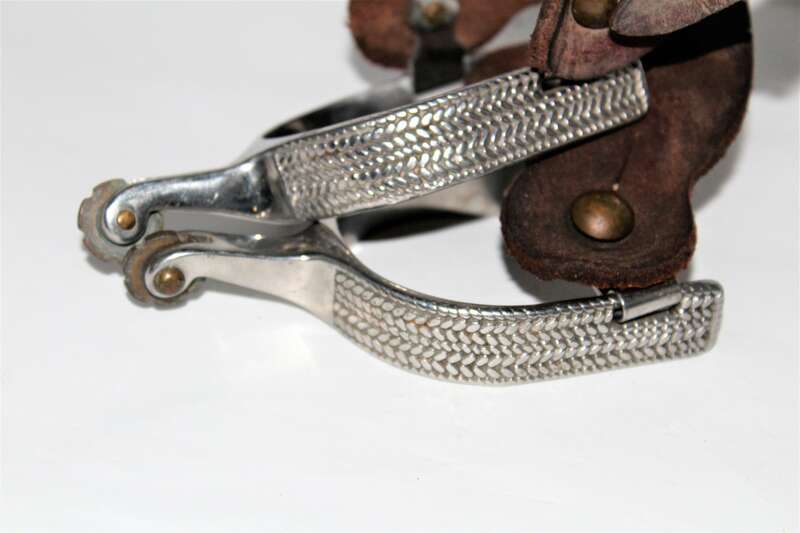 Dimensions; The brass rowel (star) measures 3/4” diameter, neck is 1-½” long, the arms measure 2-½” apart. Condition; very good for age with scuff and scratches from use. 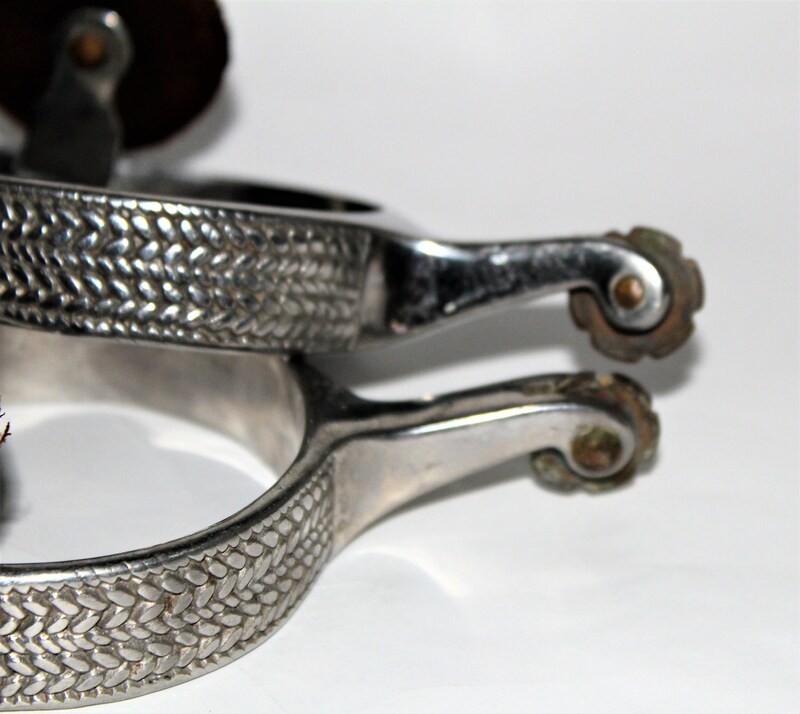 leather spur straps are solid but dry.